Star party at Cherry Springs. Photo by Terence Dickinson. 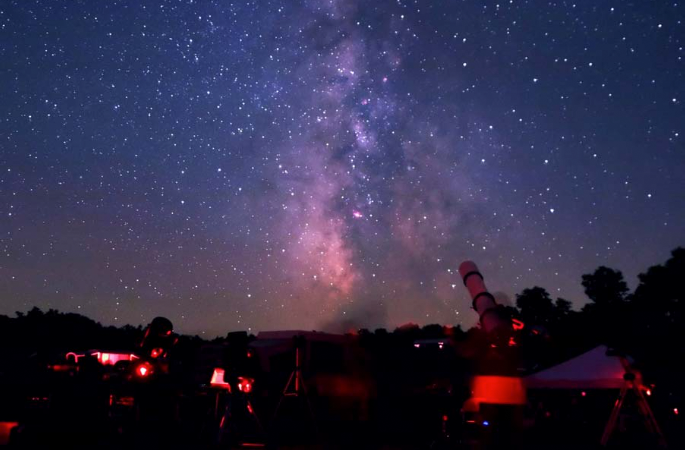 Due to its exceptionally dark skies, Cherry Springs State Park is one of the best places in the eastern U.S. for stargazing. 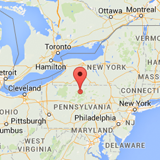 Situated at 700 m above sea level in the largely undeveloped 106,000 hectare Susquehannock State Forest, the Park’s “Astronomy Field” offers an unobstruced 360-degree view. Cherry Springs is open year-round and 60 to 85 nights each year have ideal conditions for observing. Each year the park hosts two major star parties, which attract several hundred astronomers for several nights.